Everything we explore in this class is free and portable software, making it easily accessible to everyone, anywhere. Because we often discuss portable software, we ask that all students bring a 4GB flash drive or larger. Since 2014, we have issued 8GB flash drives to our students as part of the registration fee. If you haven't already done so, we strongly encourage you to also see our Program Overview page for a better insight on what CompCADEMY is about. Our goal is to foster creativity with various software and to encourage exploration of new ideas. We have turned to portable applications that can be installed onto a flash drive and run on any computer, whether in this class, at school, at work, or at home. We have focused particularly on the PortableApps.com menu platform to achieve such task, as it is designed well for the purpose of running programs directly from removable storage media without leaving any traces behind on the host computer. Most of the apps we use are open source, but all are free (gratis). What's more, the projects we create in class can be saved and worked on later when free time and computer access permit. The PortableApps.com platform is designed so you can take your favorite open-source applications with you. Simply plug in your flash drive and your menu and portable apps will be ready to use in an instant. 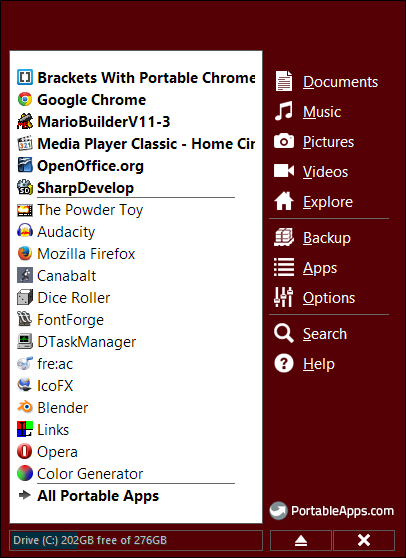 What's more, the PortableApps.com platform creates a folder structure on your flash drive organizing your documents, music, pictures, videos, and your apps. Based on Nintendo's various Mario game releases, this two-dimensional platform game engine enables you to create your very own Mario World (or Luigi World, depending on your preference) and share it with your friends as a standalone executable that you can carry with you on your flash drive. This program is no longer available for download; however, we have it preinstalled on our CompCADEMY flash drives. 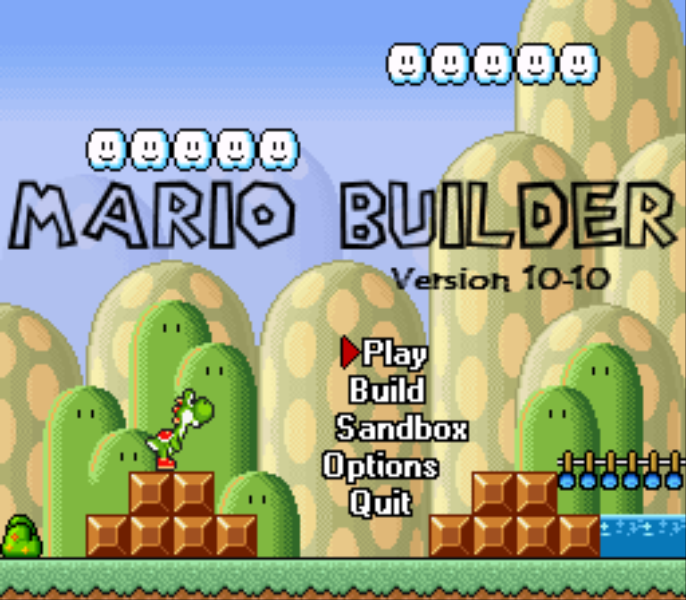 If you do not have a copy of Mario Builder, let us know and we will gladly give you a copy. 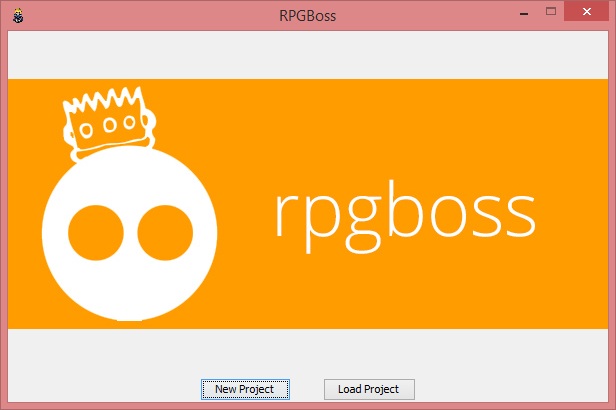 We have also used another codeless game creation tool, known as RPGBoss. RPGBoss enables us to create our own role-playing games with the creation of maps, towns, indoor settings, sprites, and monsters. Included with preset characters, tilesets, and music, users can create their very own games with ease using built-in event triggers without writing a single line of code. This program is no longer available for download; however, we have it preinstalled on our CompCADEMY flash drives. If you do not have a copy of Mario Builder, we will gladly give you a copy. 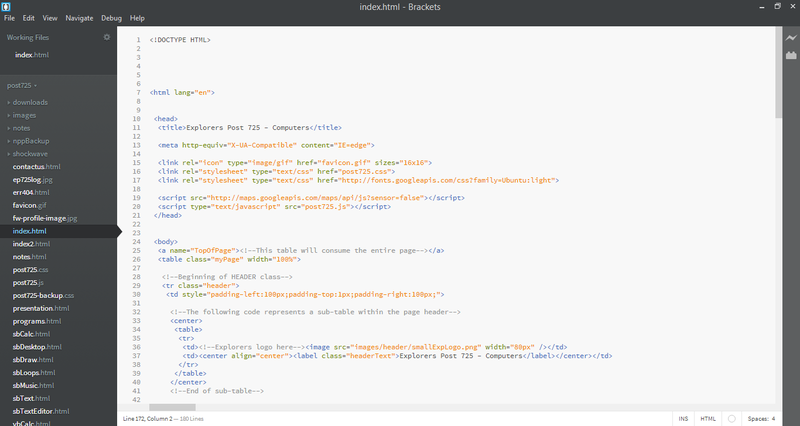 Since the 2013-2014 year, we've examined the free, cross-platform, and open-source code editor Brackets. This application employs many beautiful features, most importantly remote debugging support in Google Chrome, as well as live previews for images and colors as they are typed. This website was designed using Brackets. We have also focused on Microsoft .NET programming using the free IDE SharpDevelop, an open-source, lightweight, and portable alternative to the free Microsoft Visual Studio Express compiler. 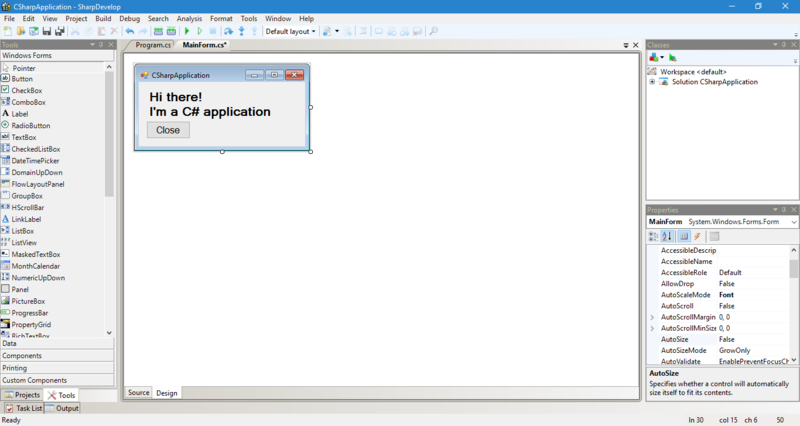 SharpDevelop is designed to support a wide range of languages, including Visual C#, Visual Basic, and several others. SharpDevelop is also available from PortableApps.com, but it is experimental and is therefore unavailable from the app store. 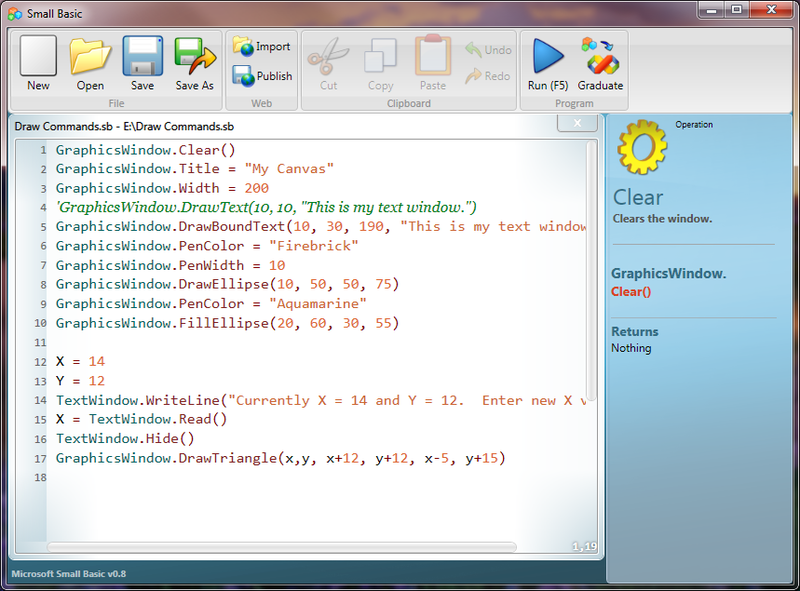 You can also get Visual Studio Community for free, although it is not portable. 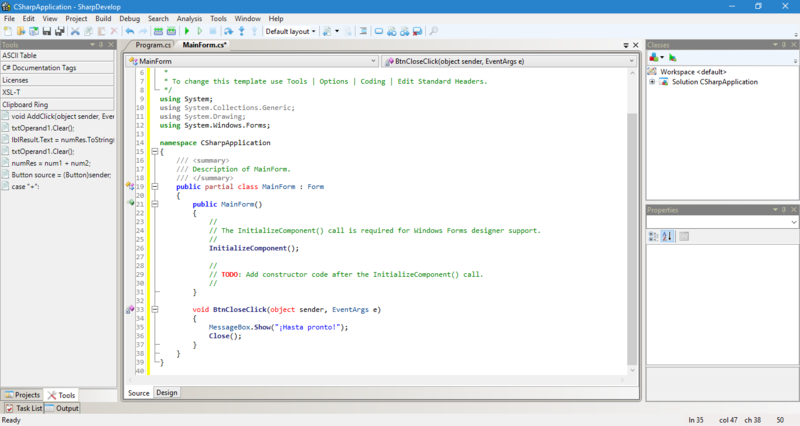 It includes all the development tools available in the full version of Visual Studio. The only limitation is that it services up to five PCs per developer license, which is acquired through your Microsoft account. Click here to download Visual Studio Community 2015. Small Basic is an entry-level, miniaturized language based on the industrial-level Visual Basic language. As of 2010, we have introduced Small Basic to students as a gateway to the programming world due to its easy syntax and fun user interface. Small Basic scripts are compiled into standalone executable programs that can be run as a Silverlight app online. Over the course of the year, our website will showcase new programming examples for Small Basic. Although Small Basic can be run portably, it requires Microsoft .NET 3.5 to run. If you have an idea for a new discussion topic not listed on this page or have questions, comments, and/or concerns otherwise, please share them with Scott Thomson at compcademy@outlook.com.